***Last Batch Using DMC Mufflers*** Limited qty. 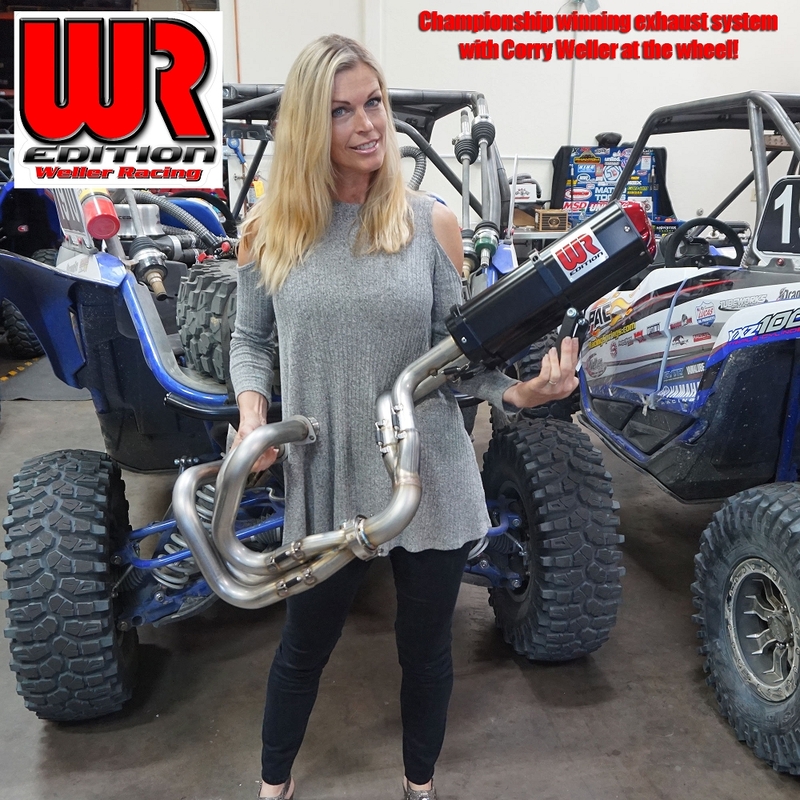 Weller Racing has developed our all new WR Edition full exhaust system for the YXZ1000R! 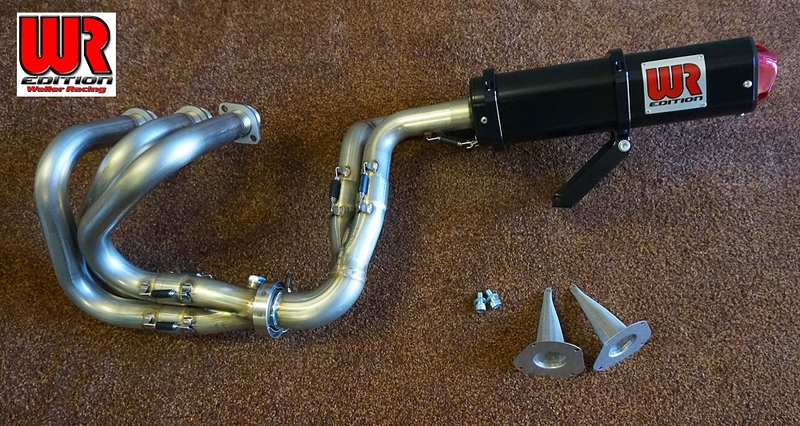 Direct bolt-on replacement exhaust system with massive 15 HP gains at the wheels! Perfect fit and finish on installation. All parts are very high quality and the customer service is top notch. Can't say how good it is to deal with the Weller Team. 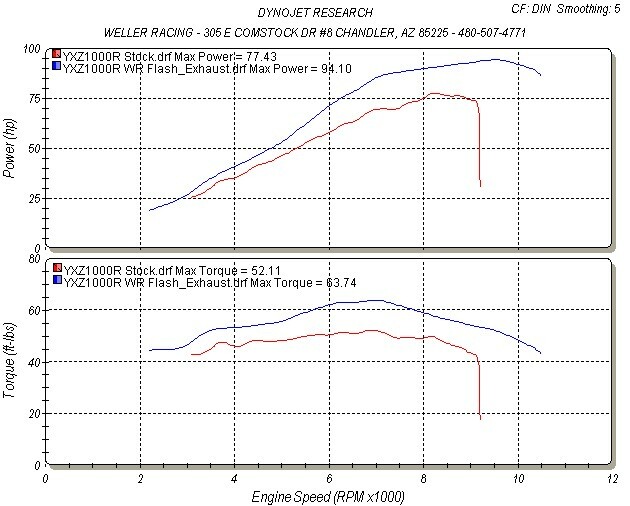 Now the exhaust/ecu flash gave a huge power increase. Pulls much stronger throughout the RPM range with a top speed of 91mph. Plus, it's one of the best sounding exhaust for the YXZ I've heard. Best bang for the buck! the fit and finish is second to none. aways a bit of an issues when i purchase so far away but this is one of the best hand made pipes i have seen.. been back and brought other items as service and quaility is excellent. Big thanks to all the folks at Weller Racing! Thanks to great customer service, I got my full exhaust and reflashed ECU just in time for our dune trip to Dumont. The system was well thought out and really brings the triple to life. Awesome products! Could've ordered this online. Instead I drove 3hrs to pick it up. Worth it! Took about 30 minutes to install. One word. Fast. Thanks again weller team. Good luck to you in the future. Q: When will this be back in stock for purchase? 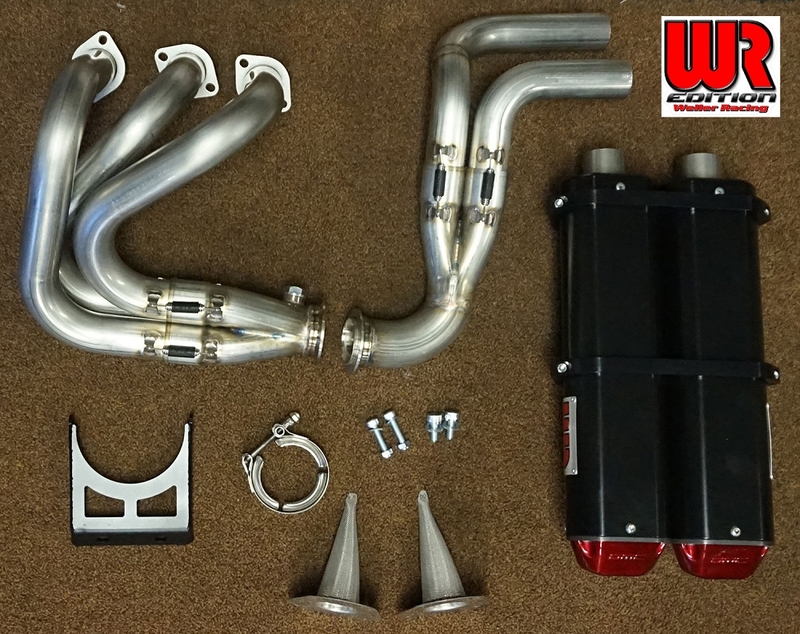 Q: When is this exhaust system going to be available? Q: Are the different quieter cores still available? If so how do I find them?